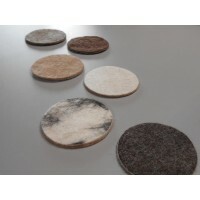 Felted alpaca insoles reinforced with burlap Our insoles are made of 100% natural alpaca reinfor..
Felted coasters in natural alpaca These soft alpaca coasters will absorb moisture and protect you..
Wouldn't you love to be wrapped in a large super comfy scarf? 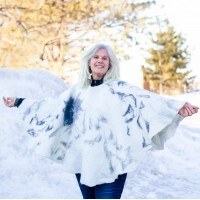 You will be surprised by the lightn..
Large poncho in luxurious alpaca 100% Québécois This round poncho was created with 100% natural a..
Natural hypoallergenic ecological throw blanket. 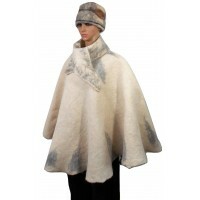 Alpaca fibre offers incomparable comfort! Treat ..
A unique creation just for you! Custom made to the colors of your choice. 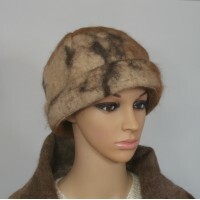 You will want to wear i.. 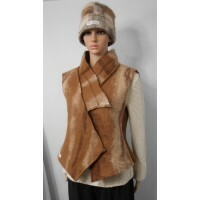 BOUTIQUE open all year round. 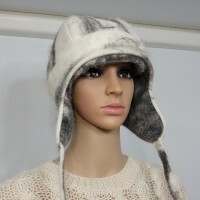 *** IMPORTANT NOTICE *** Access linked to our availability and weat..
Face winter in style with a unique alpaca fiber hat! 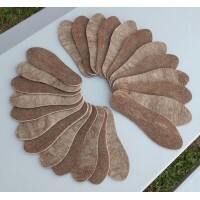 Enjoy the pleasure and comfort of wearing a .. 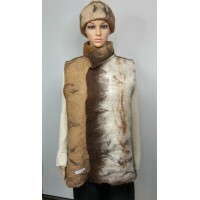 Unique poncho in luxurious alpaca 100% Canadian This comfortable poncho was created with 100% nat..
Wrap yourself up with a soft natural alpaca shawl in spring colors.A comforting warmth that you wi..
You will love the madarin collar that adds to the comfort of this unisexe sleeveless jacket. 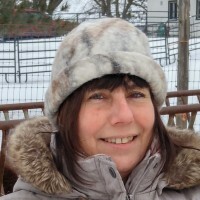 A v..
AlpagAdore is proud to offer you this elegant full-length coat designed by a Montreal designer and..
Face the winter with an alpaca tuque... lined for maximum confort! This winter ... enjoy the plea.. The Discovery of a New Lifestyle! 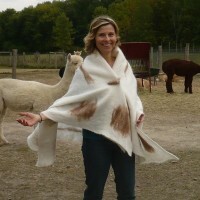 High quality alpaca farm in Quebec, guided tours, alpaca fibre studio, boutique with unique items created right here on our farm, workshops to explore your creativity... all this at only 45 minutes from Montreal. It's in 2007 that we decided to make this rather drastic lifestyle change. 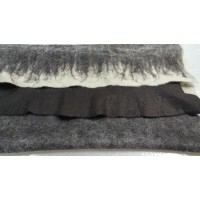 With a growing passion for our alpacas and the luxurious fibre they provide, this adventrue helped us discover unexploited talents leading to the launch of our alpaca fibre studio in 2012. 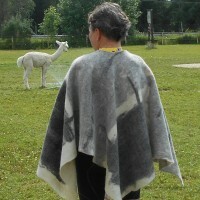 We are always available to share with you our experience and passion as well as the multiple possibilities offered in this growing alpaca industry.